Select your level of study below for more information on how to apply. If you are an incoming freshman or transfer student, you will need to create a MyUNA account to complete your admissions application. All domestic graduate students (U.S. Citizens and Permanent Residents) can apply for graduate admission through your MyUNA profile. * The graduate application fee is a one-time non-refundable fee. Former UNA Graduate Students and former UNA graduate program applicants should select "Previously Paid" on the graduate application. Previously submitted application materials may be on file from a previous UNA graduate application. 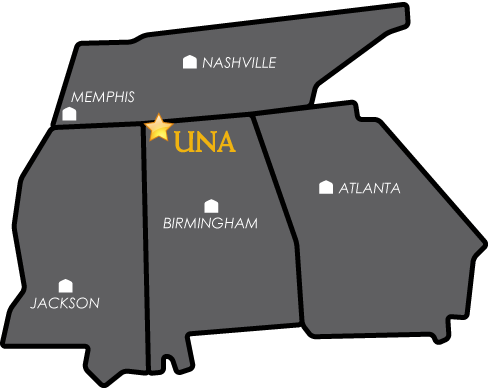 Admission files are retained for a period of two years for UNA graduate applicants who do not enroll. Please note that updated materials ay be requested if applicable.